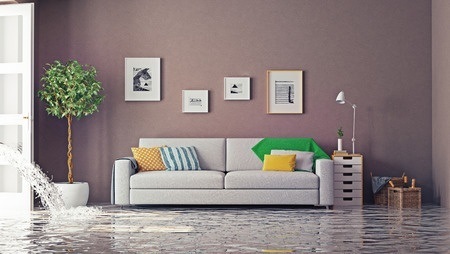 If you’ve ever experienced a flood in your home, then you know how important it is to have the water removed from the area immediately, not just because dealing with a soggy basement is a bit inconvenient but because flood water can actually be very dangerous, which is why it’s important to remove it from your home as soon as possible following a flood. Standing water that has flooded into your home poses as more and more of a risk to your home the longer it sits there. Further deterioration of your home’s foundation, carpeting, drywall, and framing occurs as soon as the water reaches the inside of your home. But, the biggest risk that standing water creates is mold growth. Mold needs wet, dark areas to grow, and if you’ve ever had a flooded basement, you know that it’s very wet and dark down there after a flood. The sooner you can remove all of the water and have it professionally treated, the less time the damaging and dangerous mold has to grow. If the flood occurred as a part of a septic tank failure, or a nearby waste overflow, the standing water in your home may be unsafe because of the harmful particles it contains. As soon as a flood occurs in your home, it’s important to contact a company like Rapid Response Restoration for our 24-hour emergency water removal services. We will perform a full inspection before we begin our work to determine the cause of the water damage or flooding, and work with your insurance company to repair and restore any damaged areas of your home. Plus, we’ll work to prevent permanent damage to your furniture, carpets, antiques, family heirlooms, electronics and other valuable items. To learn more about our water damage repair services, contact us today.